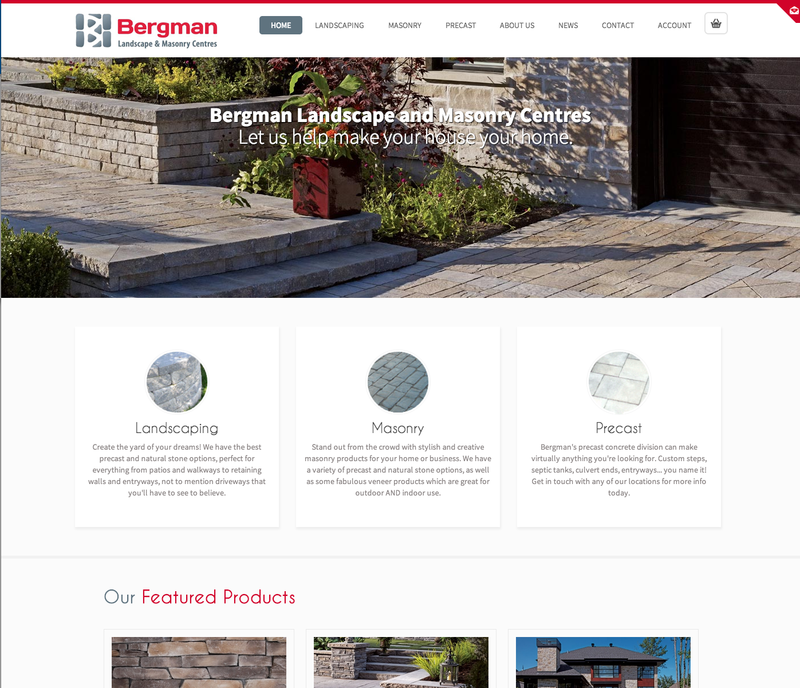 Bergmans Landscape and Masonry Centres is a new website for this Maritime based landscape, masonry, stone and concrete company. 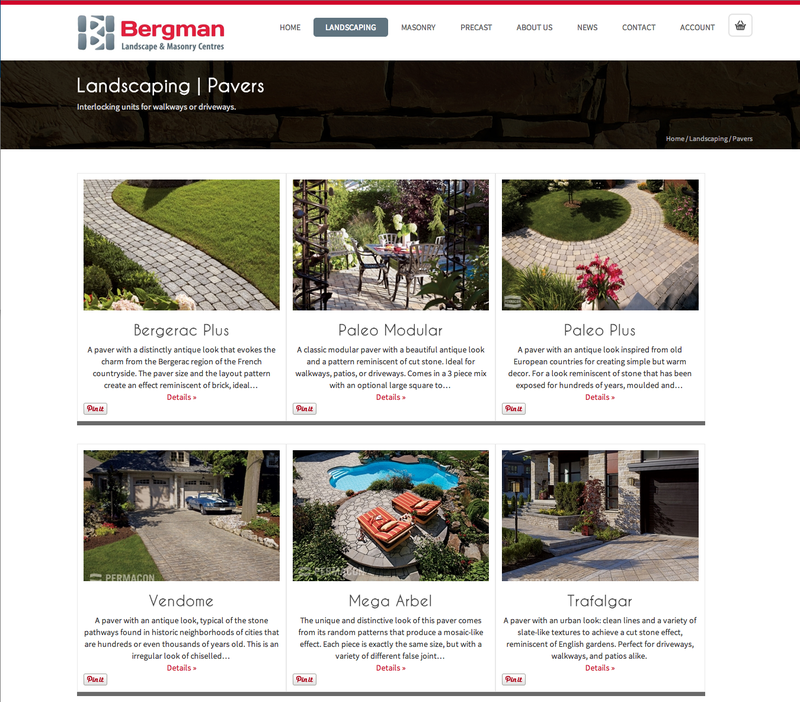 Bergmans came to Eastwood Design with an static website that was difficult to update and required a more mobile friendly layout. 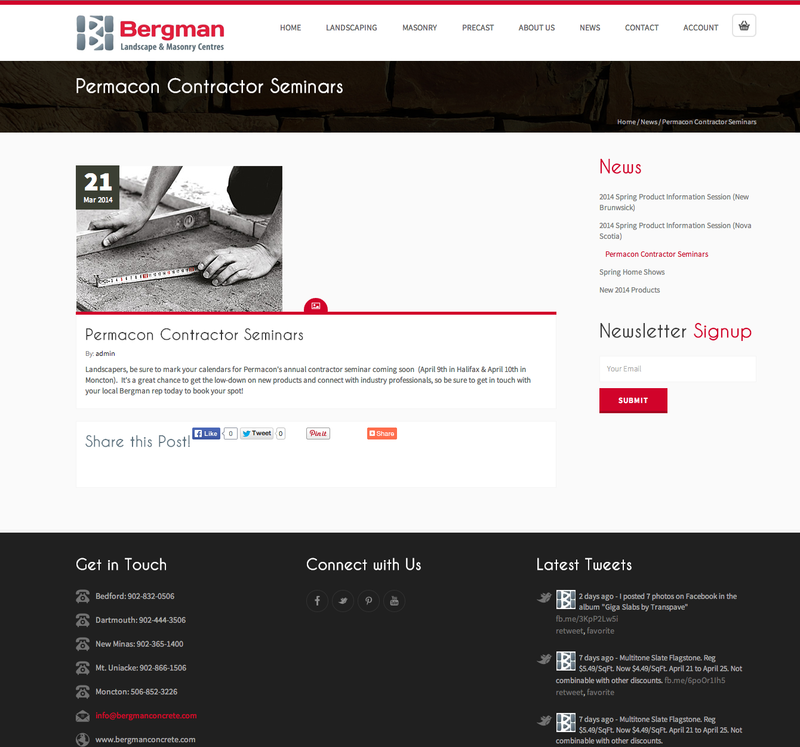 The website also was developed to offer an online quoting and ordering system for their contractors. 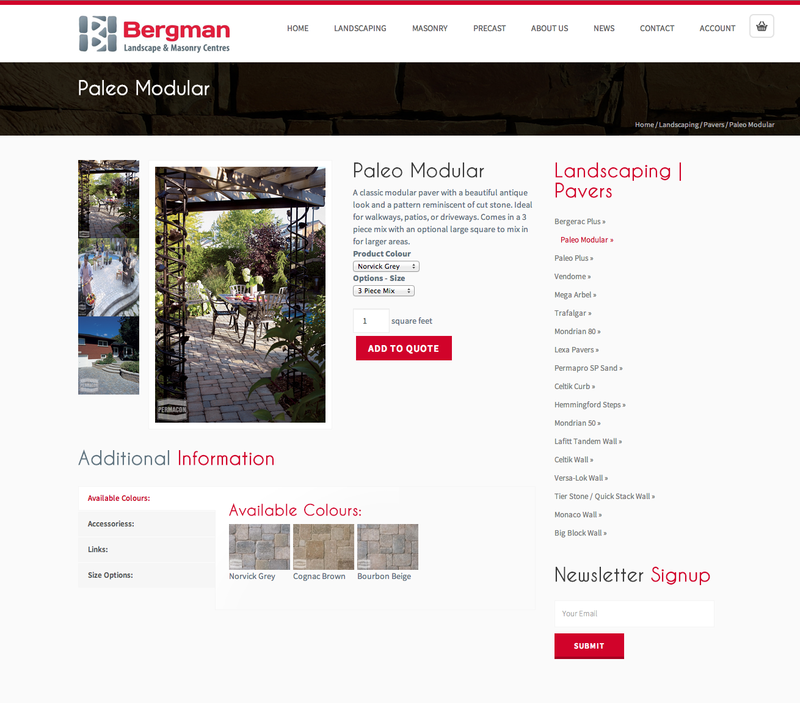 The project was an over whelming success and orders are already pouring in using the new online system. 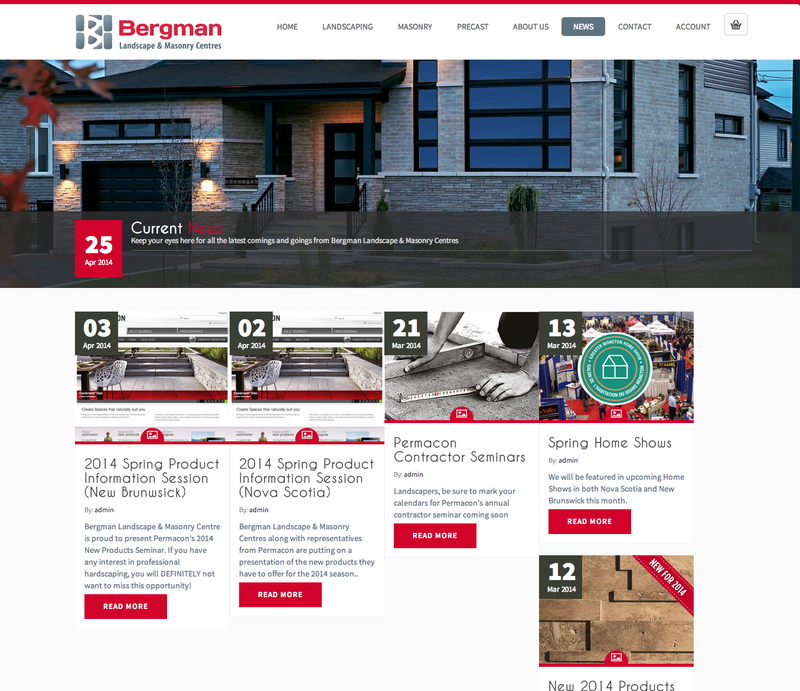 The website also features a newsletter subscription, and social media intergration.